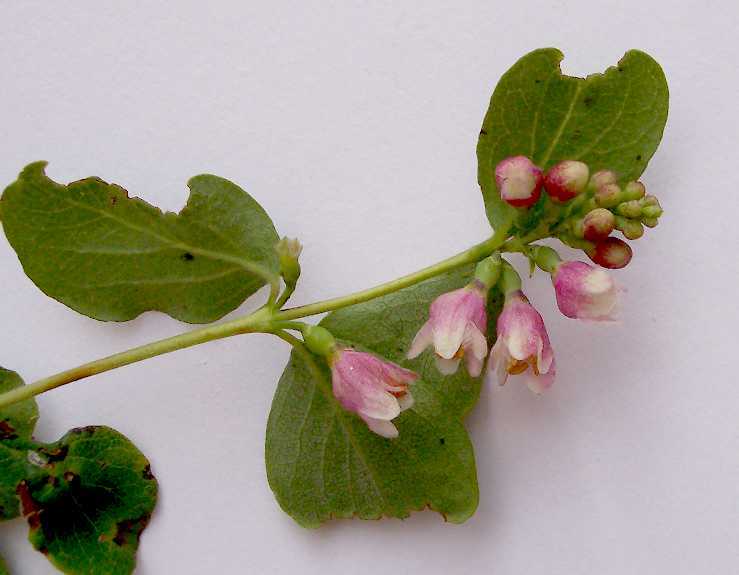 Symphoricarpos albus var. laevigatus has an interesting history in floras of southern California. It was not even present in the 1974 Flora of Southern California by Munz. Yet the 1993 Jepson Manual gives it as widespread enough in southern California to earn the SW distribution! 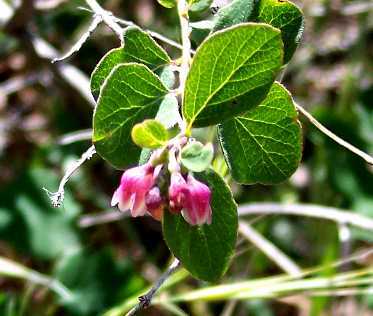 Symphoricarpos albus var. laevigatus is a widespread taxon in western North America, from southern California to Alaska and Montana, and apparently reaches its southwestern extent in southern California, accounting for its patchy locations and late recognition here. 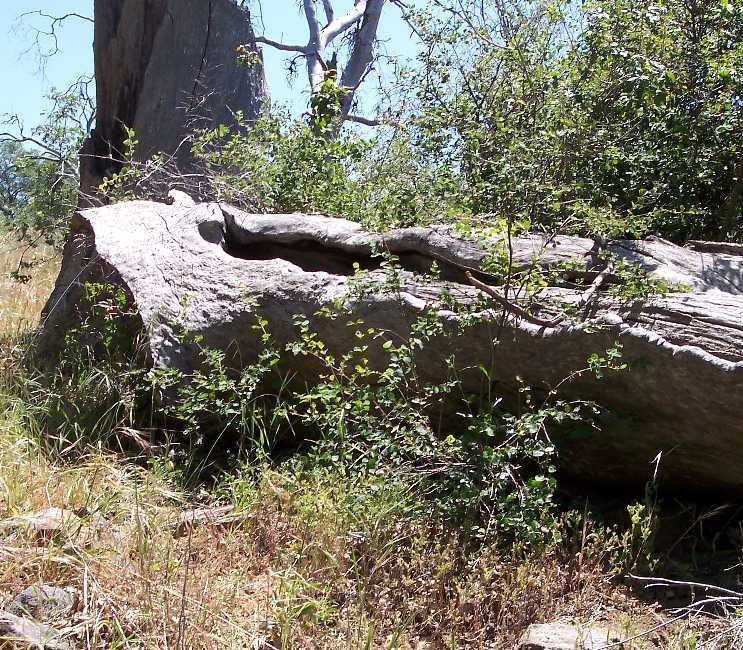 This page shows pictures of its characteristics as seen at Volcan Mountain on the Five Oaks Trail on 25 May 2007. The observed heights of the plants at Volcan Mountain were belly-high to heart-high on me, which measures to 42 to 49 inches, = 1.1-1.2 dm, high, clearly fitting only key element 2. The above picture shows a fairly-isolated S. albus in front of the downed trunk, with a very erect main branch exceeding the height of the trunk, as well as smaller plants around it, mainly to the left. Additional specimens are in back of the downed trunk, accompanied by poison oak, Toxicodendron diversilobum. 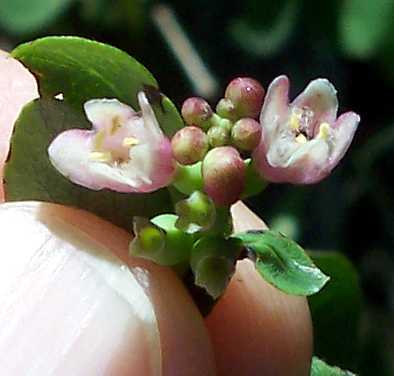 The glands are the little white dots seen within the swelling, which is the prominent brown area on the left side of the above flower. This glandular swelling is the nectary gland. 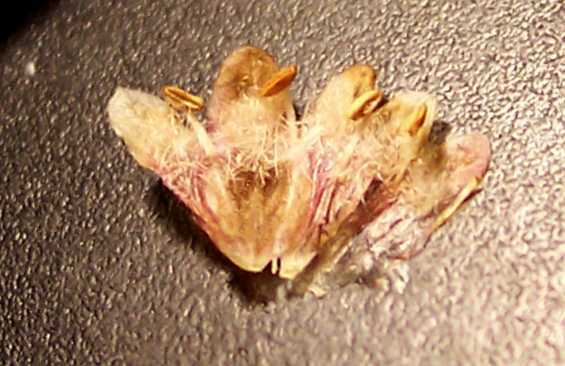 There is only one nectary gland on these flowers, not the five separate glands of S. mollis. Keys just don't get any better than this to distinguish a species! 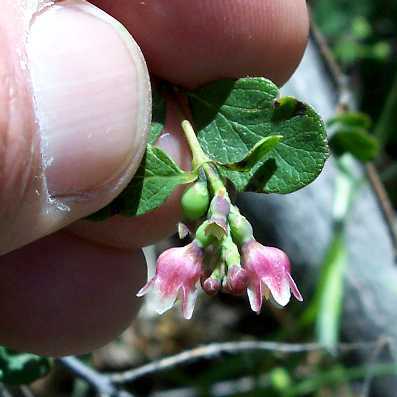 On 25 May 2007, Volcan Mountain had a single patch of this species in bloom, which was some 80 feet in diameter. This patch was located on an east-facing slope just below a flat ridgeline, in the shade of black oak, Quercus kelloggii. I found four more patches on the Five Oaks Trail and main road, but none of those four patches had any plants in bloom. 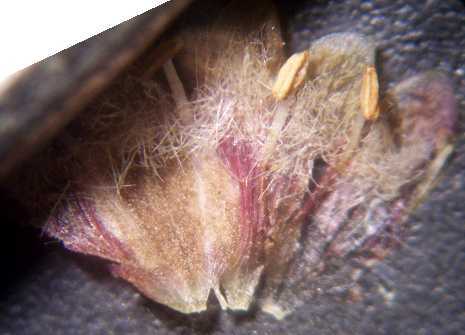 They appeared to be the same species from their erect tall stems, but that needs to be confirmed in the future from flowers.